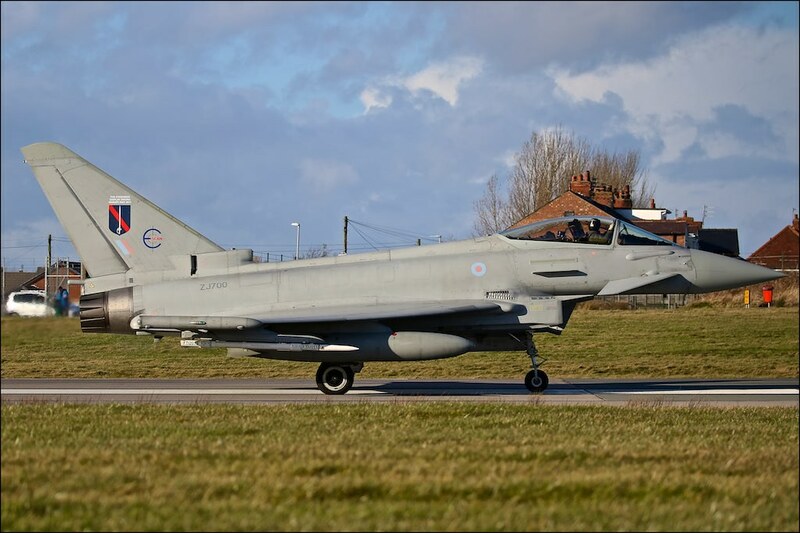 Thanks FalconFlare Just the 2 at Warton but for how long we are not sure. MR TERRY GREEN wrote: Love the tornado,the plane just has a wonderful presence about it and Saudi tornados always look great. Be a sorry day when they are retired Mr T GREEN. We will all miss them for sure. Dan D'Air wrote: Great shots, Mickey. The RSAF Tornado looks stunning loaded up and swept back for business. I must get up to Warton again. It's been many years. Alpha Delta 210 wrote: I love numbers 5 and 6. Evergreen 44 wrote: Nice one Mickey, good to see it moving again. Do you know if ZJ699 is still about please ? IPA5 / ZJ700 on taxi for departure 25 runway with Tarnish 69 at the controls. Light had gone by the RTB. Punkrunner62 wrote: Thanks for keeping us up to date with the happenings at Warton,always a first class set from yourself. I know Stu whoever planted those bushes did a good job... Not for us though. FalconFlare wrote: You photographed some nice aircraft with interesting camo schemes there! BFM wrote: Up to your usual standard. XPLUMBER wrote: Mickey what a lovely pair! yellowcake-uf6 wrote: Nice paint scheme! Thanks for posting.